Little Switzerland is a summer colony high in the North Carolina Mountains along the Blue Ridge Parkway. Their town sign says "Population 46." Many buildings incorporate iconic Swiss architectural styles. 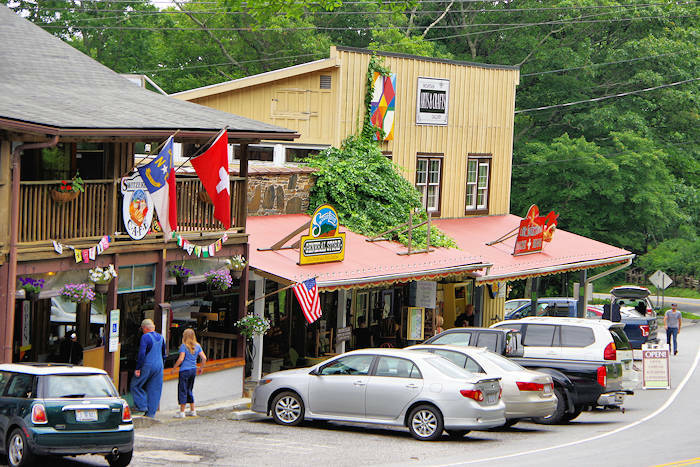 Located about an hour north of Asheville, it offers a rare stop right along the Parkway for food at the Switzerland Cafe and a little shopping at the General Store (Milepost 334) or the Minerals Museum of NC (Milepost 331). 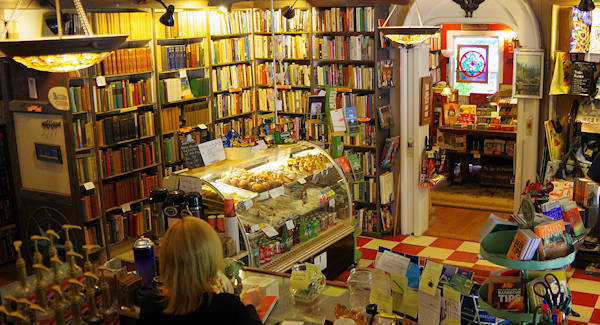 Book lovers could spend hours roaming Little Switzerland Books & Beans, with multiple rooms stuffed with books. An art gallery featuring local artists is upstairs. The summer resort that started in 1910 was named because of its sweeping panoramas of deep valleys and distant ranges resembling those of the foothills of the Swiss Alps. Ride along Highway 226A along the 3,500-ft. ridge to see some of these vistas. 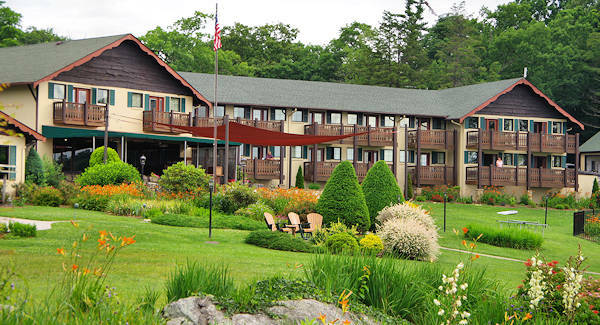 Find several longtime favorite places to stay, including the Switzerland Inn. It's is the biggest and oldest hotel here, dating back to 1910, with a variety of lodging options, from rustic cottages to mountain view suites. They also have a restaurant, spa, pool and plenty of spots to enjoy the views. 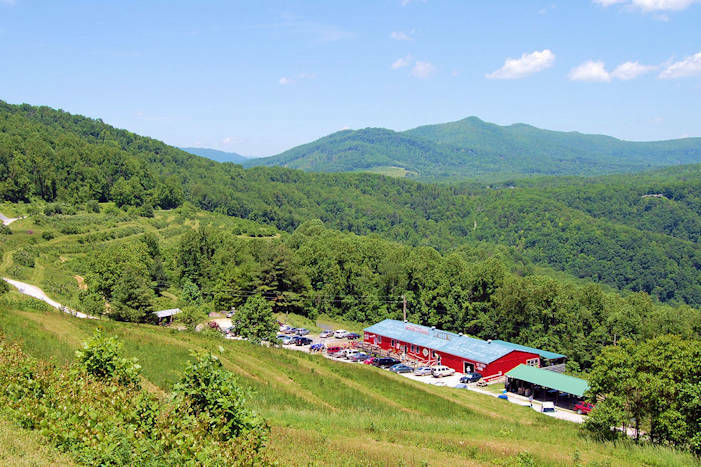 To see all places to stay in Little Switzerland, go to the Blue Ridge Travelers site. 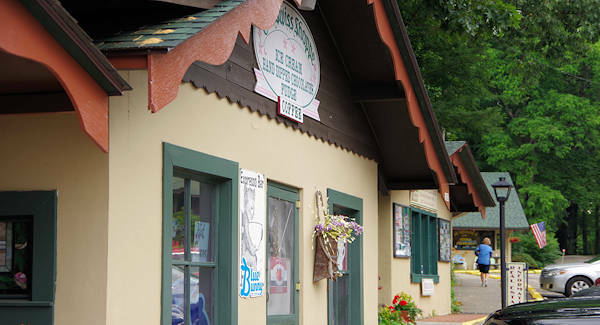 Find more shops to browse adjacent to the Switzerland Inn. The 42-room Big Lynn Lodge was started 70 years ago and retains much of its original charm with lots of porches to enjoy the views. Room rates ($105-$160) include both breakfast and dinner. Motorcyclists and sports car owners come here to drive the Diamondback, which is the winding NC Highway 226A. Find more than 190 steep, climbing curves in just 12 miles. Switchbacks loop almost 360-degrees, snaking through lush green Pisgah National Forest. 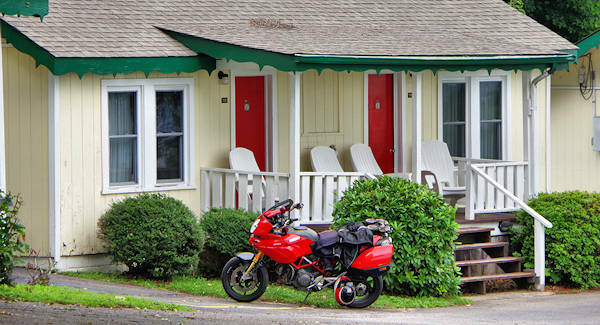 To see all places to stay in Little Switzerland, go to the Blue Ridge Travelers site. This 101-year old apple orchard turned Appalachian Cultural Center celebrates the people, music, art and natural beauty of the Blue Ridge mountains. Shop for local mountain art, jams, jellies, sauces, sweets, gifts and more. Listen to music and pick up your apples! Take a tour or sign up for a class at this internationally-known school for art and craft, tucked away in the mountains near Spruce Pine. 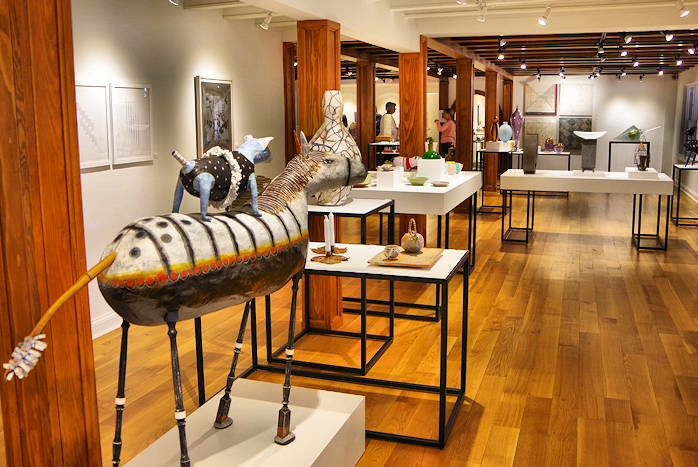 Their multiple galleries are free to visit with amazing works created by students and teachers. Located at the base of Roan Mountain and the mile-high scenic drive, this town has several galleries and studios. Home to the Rhododendron Festival. Penland School of Crafts is nearby. Explore McDowell County east of Asheville, with the small towns of Marion, Little Switzerland, Old Fort and Linville Falls. Includes Pisgah Forest, with hiking, waterfalls, fishing, Lake James and many things to do. See their Blue Ridge Traveler's guide for details.